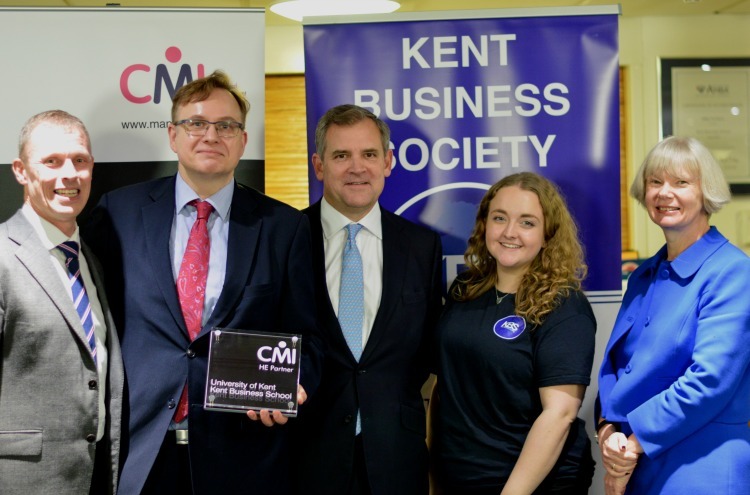 At the event, which was organised by Kent Business Society, Bruce Carnegie-Brown presented on the need for ethical management and managing larger firms in difficult times, before being interviewed by Professor April McMahon, the University’s Deputy Vice-Chancellor of Education. Mr Carnegie-Brown spoke extensively about his time as the UK head of the world’s largest insurance broker, Marsh & McLennan. Carnegie-Brown oversaw a turbulent period at Marsh, which in 2004 was investigated by New York’s attorney general, Eliot Spitzer over controversial insurance commissions which allegedly favoured the company over its clients. Mr Carnegie-Brown has extensive experience in high-level business management across multi-nationals including Banco Santander. He has also worked for Close Brothers and JP Morgan. 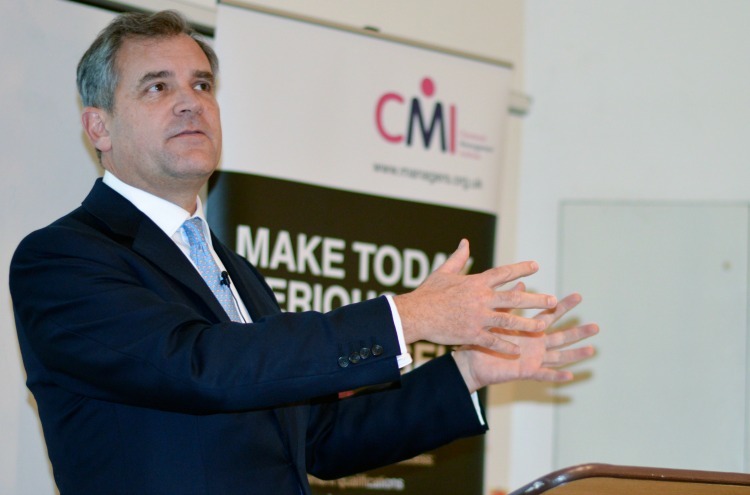 He is President-Elect of the Chartered Management Institute (CMI), which has joined forces with Kent Business School to offer the chance for students to gain professional qualifications alongside The Kent MBA, as well as BSc Business and Management with a Year in Industry, BSc International Business and BSc Management. The partnership has a host of benefits to students including access to Management Direct – offering videos, podcasts, insight papers and more. There is also a CMI mentoring scheme. Many questions were centered around business start-ups including a student crowd-sourcing scheme, as well as what it takes to become a successful leader. Congratulations to the Kent Business Society for organising such a well-attended and advantageous event.